David Nilsson celebrates the Bandits’ fourth straight championship. Picture: SMPIMAGES.COM/ABL Media. 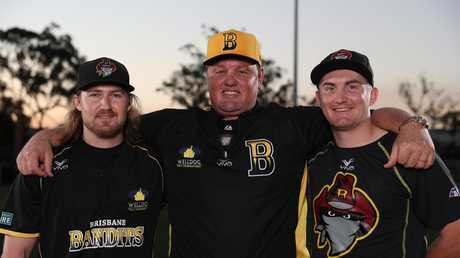 Brisbane Bandits head coach David Nilsson guided the club to Claxton Shield history while dealing with the pain surrounding his son Jacob's treatment for melanoma cancer. Jacob, 20, is in Mexico for ongoing alternative therapy and was told by doctors in late November that his stage 4 melanoma cancer had a minimal survival rate. Nilsson told his team a few days latest that the melanoma in his eldest son's chest had spread. 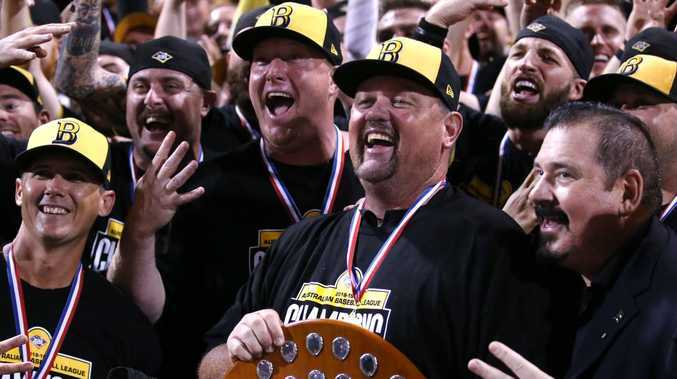 That was two weeks into their ABL season, which on Saturday night culminated in a fourth straight Australian Baseball League championship. Jacob Nilsson was listed a Bandits development player as recently as mid-November and is recorded as having played four ABL career games for the Bandits, in 2016-17. David Nilsson, who accepted a job as Australia's national head coach in June, said his baseball work helped him and while he has had "no dark moments'' the campaign had been mentally exhausting. "It might have been until the fifth or sixth round before I had my head sort of on my shoulders,'' Nilsson said. 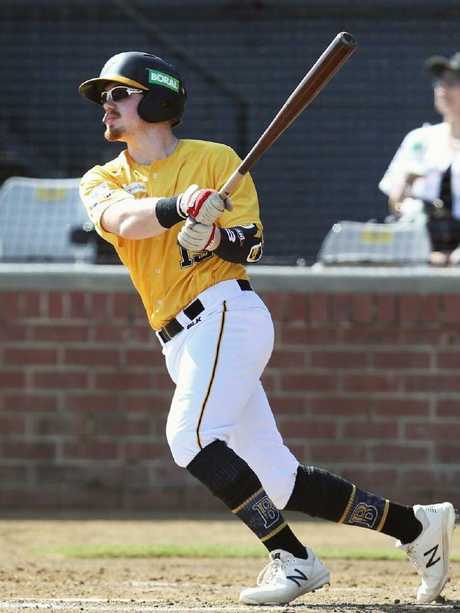 Brisbane's unprecedented fourth consecutive ABL title season is a stirring tale of resilience, but also one of a family's intent to do whatever was needed for a son. "Jacob went to Mexico for 10-plus treatment ranging from low dose chemotherapy to juicing therapy to the Coley vaccine,'' David Nilsson said. Jacob's melanoma was first diagnosed in May and it didn't stop him from attacking a baseball pre-season for Pine Hills. Jacob Nilsson, son of Bandits coach David. "Jacob to his credit was going to the hospital for radiation treatment and then straight to practice or a practice game,'' his father said. "He played in a pre-season game (for the Bandits) against Auckland and one against a Japanese team. The injury-hit Bandits were at one stage in a dogfight to make the five-team playoffs, but won 10 of their last 13 regular season games and four of their five post-season matches. "Going to the field with the team helped me,'' David Nilsson said. "My faith as a Christian is where I draw my strength and peace from to continue through the ups and downs. 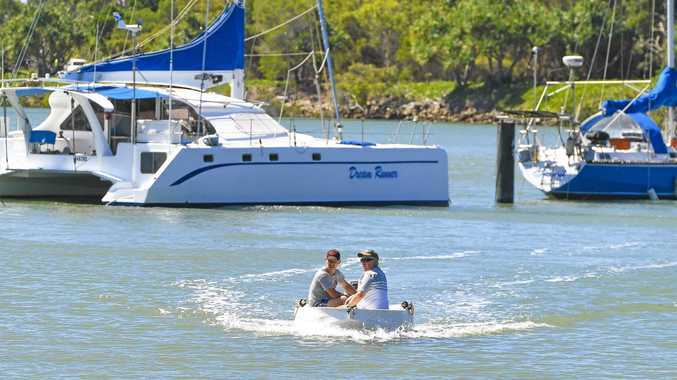 "In May through December, I did drop the ball a little bit in my role as high performance manager for Baseball Queensland - it was the hardest for me. At the presentation on Saturday night following the ABL series win over Perth, Nilsson thanked the Bandits players from bringing "a lot of enjoyment to my family''. Nilsson will attend a camp for Australian players in Canberra next week as preparation for an international series in Taiwan in November which qualifies nations for the Tokyo Olympic Games.